Some folks have gone through a rough time lately. This is especially for anyone who is in the trenches now. And I kind of love that as I’m writing this post my playlist takes me to the fierce wonderful grief of Sia and has now gone to The Doubleclicks “Now Is The Time”. 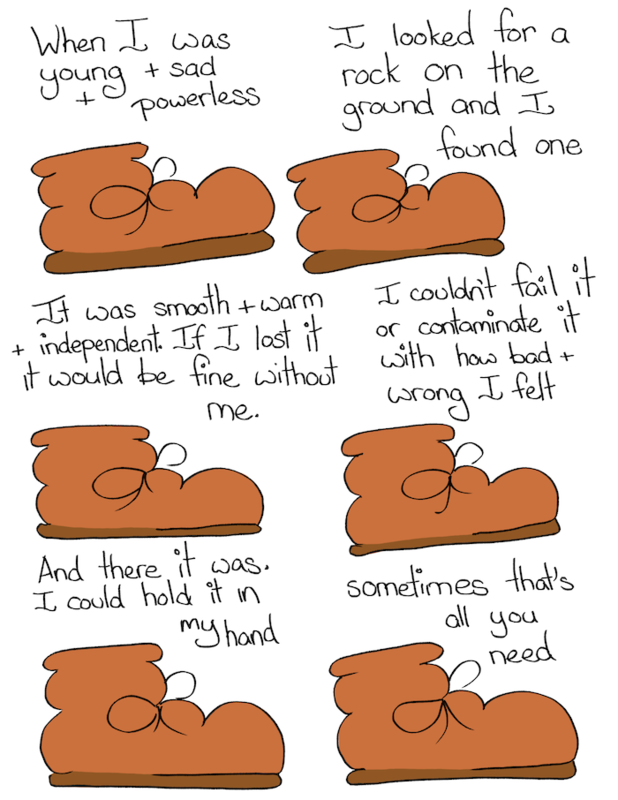 Boot: When I was young and sad and powerless I looked for a rock on the ground and I found one. It was smooth and warm and independent. If I lost it it would be fine without me. And there it was. I could hold it in my hand.